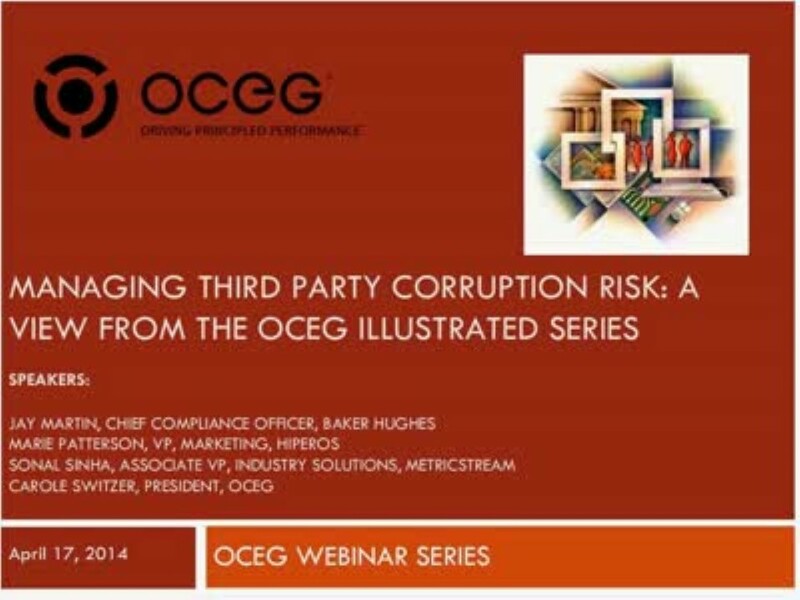 Global organizations often have thousands of third party relationships that present corruption risks. The need for a well designed and effectively implemented third party anti-corruption program has never been greater, and yet, too often, the focus is only on the on-boarding stage and ongoing management and oversight is weak. Managing third parties for the risk of bribery and other corruption requires a coordinated, technology supported approach to risk assessment and analysis, appropriate training, controls and ongoing monitoring, and periodic re-evaluation. Developing a consistent approach to risk scoring and establishing a ‘book of record’ for each third party ensures a consistent understanding of relevant information and a well documented audit trail.